KARLSBAD, Germany - Train’s LD Brock Hogan was in search for new products and gear prior to the North American run with Maroon 5. He wanted a low resolution video product that allowed the band and crew to walk through it. 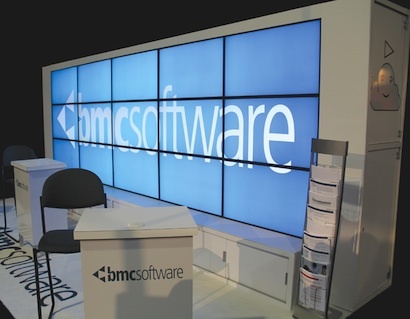 When LMG Touring showed Hogan the GLEC’s Solaris+, he said he knew he’d found the right product. KANSAS CITY, MO - Harvest Productions turned the tables on a gala grand opening weekend by redefining “dinner theatre.” High End Systems DL.3s solved many of the design team’s issues of tight timelines and reliable - not risky - projection results. 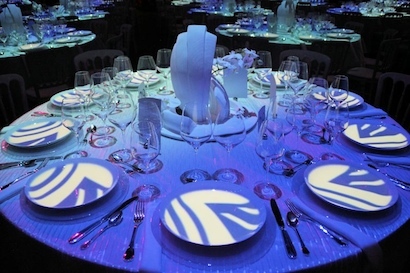 Guests dined on a table and place setting designed using digital art. 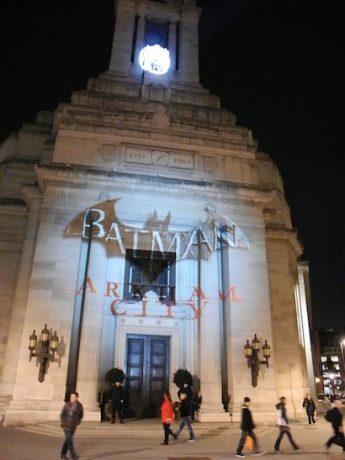 LONDON - Presentation Rentals Ltd. (PR) supplied external building projection and lighting for a press launch of the newest software game, Batman: Arkham City. Two party areas within the Freemason's Hall in London's Covent Garden were powered from the nearby Irish bar, saving one generator. 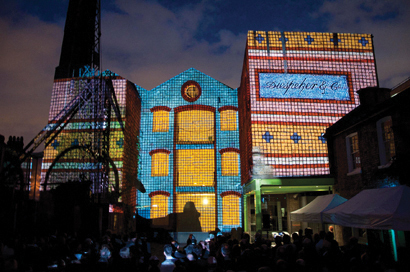 The challenge was lining up the projectors in the 15 minutes between dusk and the event going live. NEW YORK – IBM celebrated its centennial with a gala at Rose Hall, the home of Jazz at Lincoln Center. 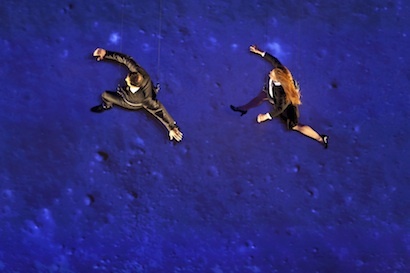 Scharff Weisberg (SWI) provided AV support for an event featuring aerial performers, Steve Martin on the ukelele, Patti LaBelle, a choir and dance troupe, and Morgan Freeman as emcee. NEW CASTLE, DE - Once again, Pete’s Big TVs has helped “Black Girls Rock!” The philanthropic organization’s awards show - which celebrates those who have culturally contributed to the Black Experience - airs on the BET network Nov. 6. The show was taped at the Bronx’s Paradise Theatre in New York City - an old, ornate former movie house not meant for the big production it would successfully pull off. ORLANDO - Alcorn McBride meets the AV needs of The Portal 31 Tour, an underground coal mine museum in Lynch, KY. 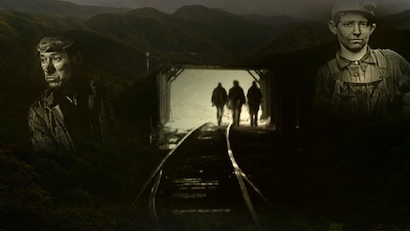 Visitors shuttle through the mine on a narrow-gauge track. Eight stops take them from the opening of the mine in 1917 to its closure in 1960. 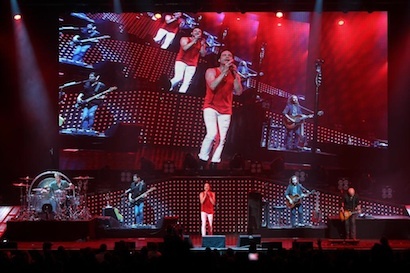 Alcorn McBride's Digital Binloop HD multi-track video player went deep underground to enhance the tour. DURHAM, NC - The University of Michigan scored big with its fans with its installation of new scoreboards from Lighthouse Technologies. 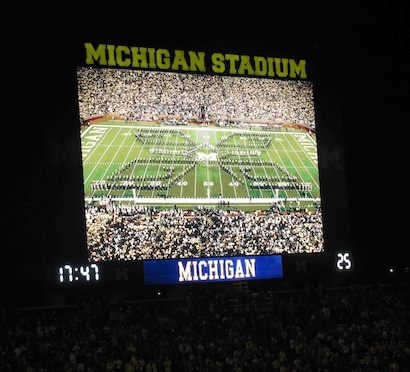 The video displays and scoring systems feature high-brightness Cree LEDs, which kicked off the 2011 football season at Michigan Stadium. 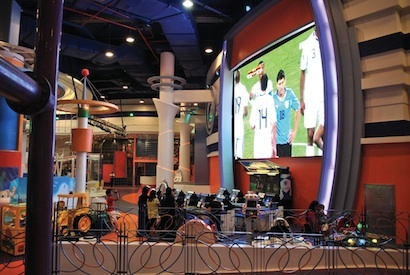 KUWAIT - In Kuwait, 360 Mall’s new Family Entertainment Center offers an immersive entertainment experience that is easily translated to fun for kids everywhere. Christie Digital projectors are installed throughout the center, from an interactive floor experience with popping balloons and swimming fish that kids try to step on, to a video wall that allows guests to interact with animated content. 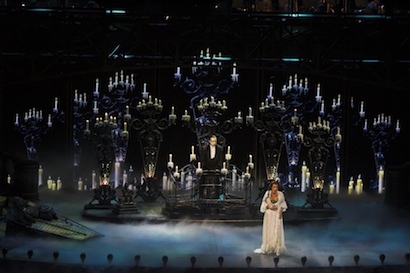 LONDON - Andrew Lloyd Webber’s “Phantom of the Opera” celebrated 25 years of musical success with a special celebration at London’s Royal Albert Hall. XL Video supplied all the cameras and crew and other video gear to make the digital scenery a major part of the production. 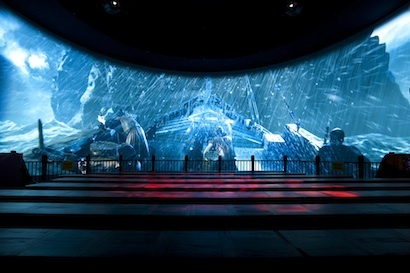 SINGAPORE – The Maritime Xperiential Museum at Resorts World Sentosa offers visitors an up-close experience - in sight and sound - at a shipwreck in the Typhoon Theater where Electrosonic helped simulate an amazing historical A/V journey.